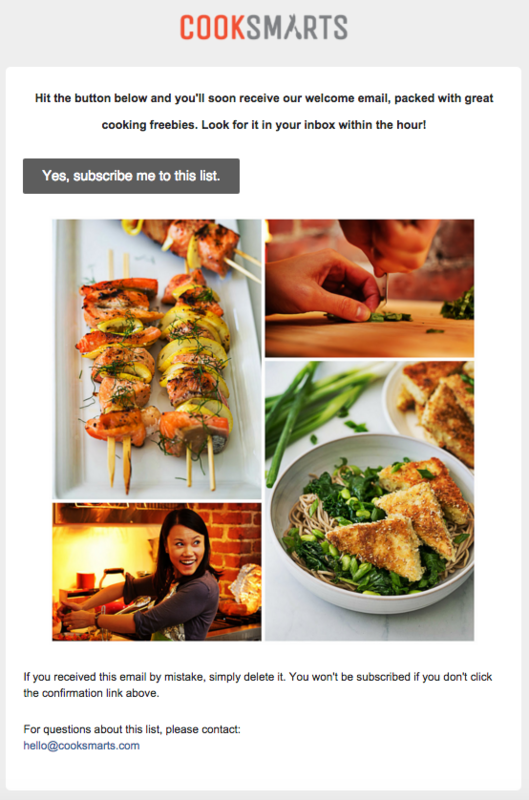 Photo collages (also called photo galleries) are a great way to add visual muscle to your email campaigns. 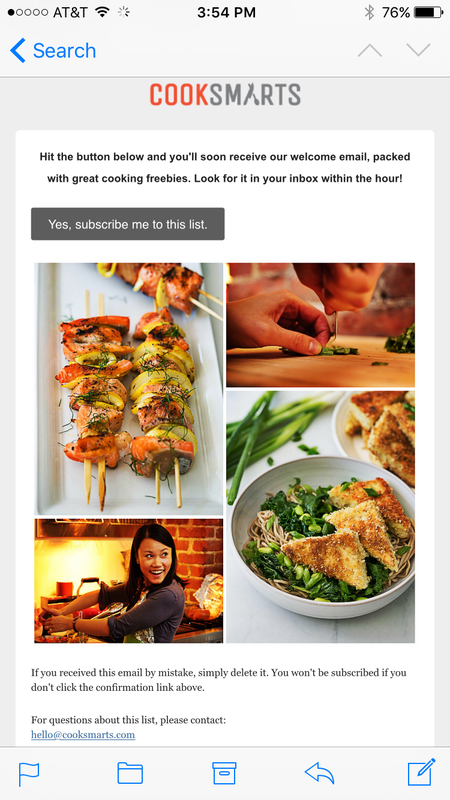 Readers increasingly scan emails on mobile devices while they’re on the go. 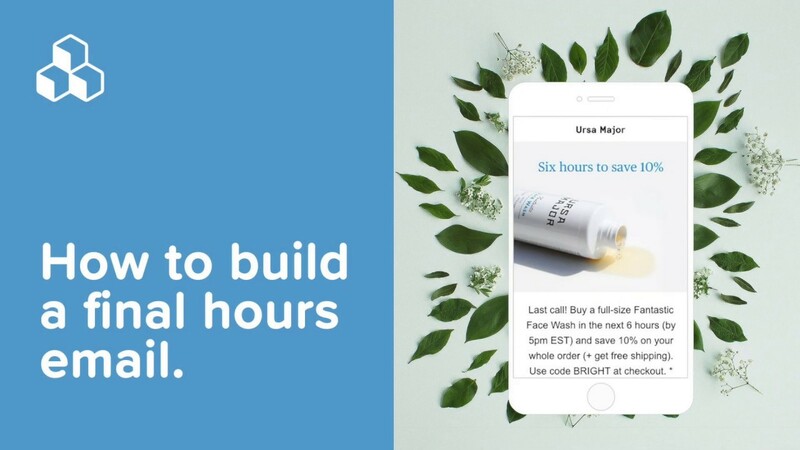 With only a few seconds to capture subscribers’ attention, photography is a great way to make an impact (especially if you’re in the food or fashion industries, where product pictures can make or break a campaign). 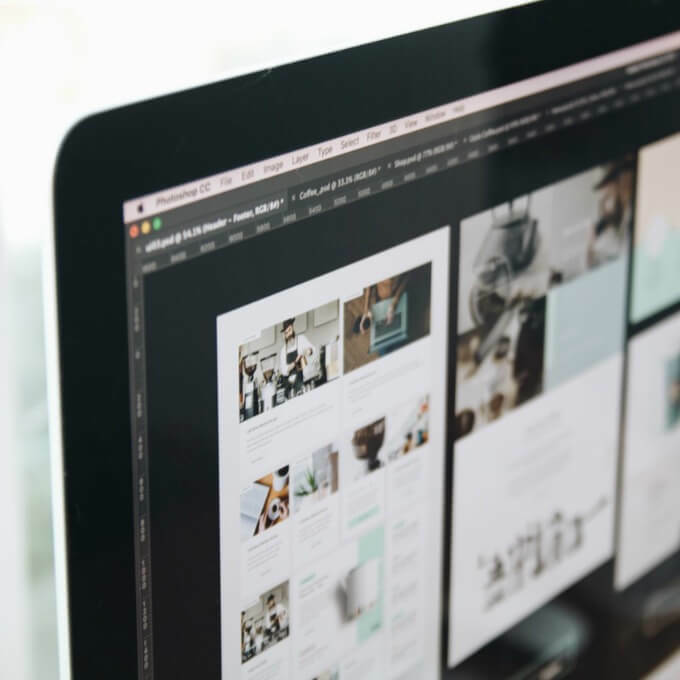 A photo collage in email is the perfect way to display stunning images and tell a compelling visual story while avoiding the pitfalls of a single-image email. 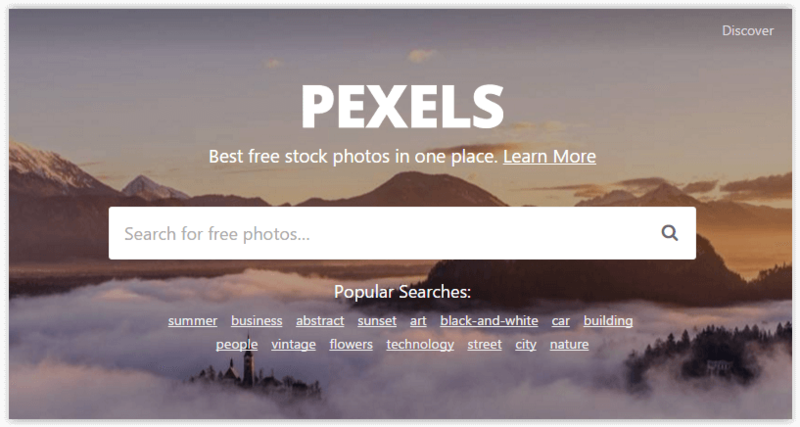 With great stock photos now easier to get than ever, even free of charge (we particularly like Pexels), you’re in the driver’s seat. 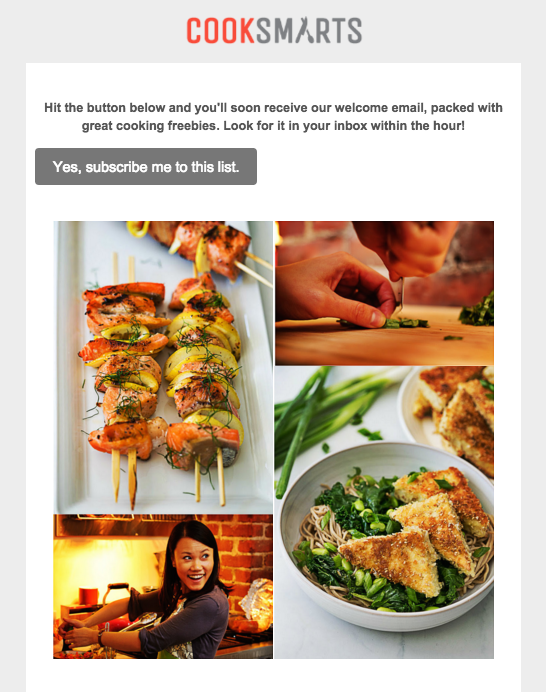 Today we’ll show you how to build a beautiful, responsive photo collage in email so you can design a message that looks awesome and converts. 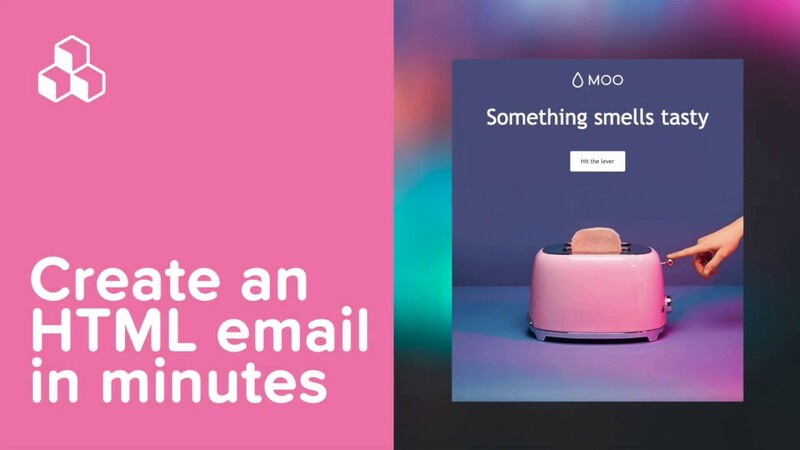 Many subscription confirmation emails look the same, but recently we took a look at how some brands are breaking the mold by giving subscribers a warm welcome and standing out from the crowd (on that, see Design a standout subscription confirmation email). 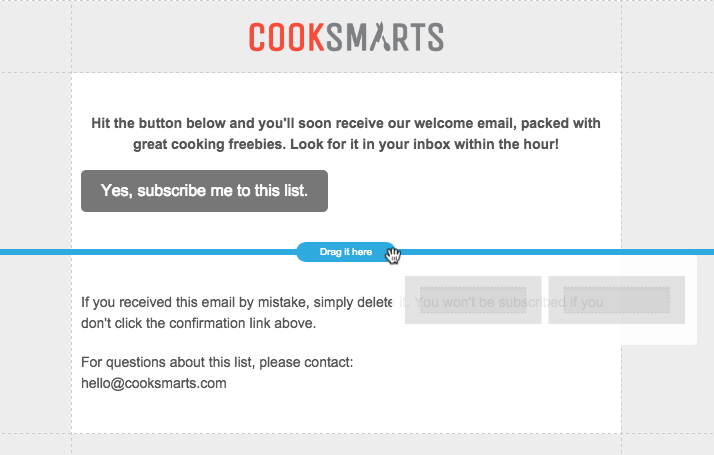 One of them came from Cook Smarts, a company that emails cooking lessons and recipes. 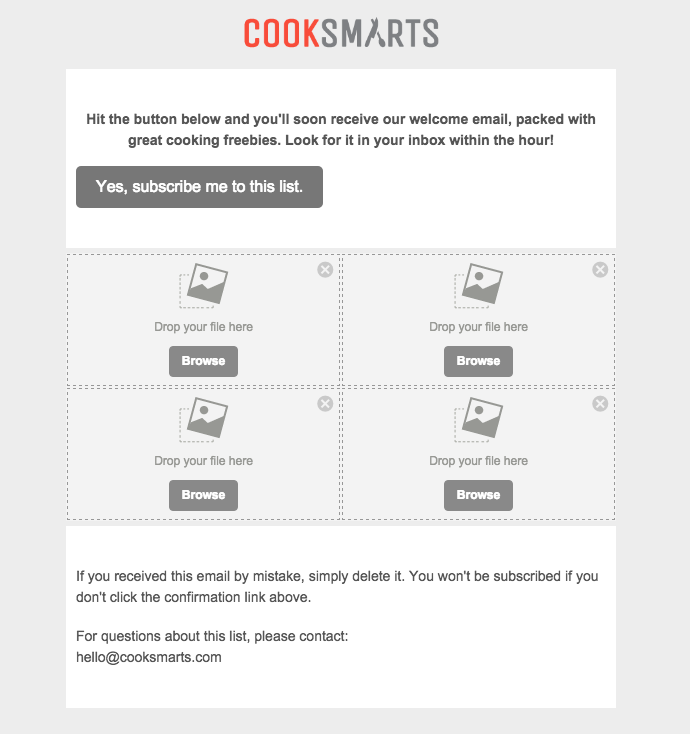 After signing up for their mailing list, we received this confirmation email. The original, high-quality images made our mouths water. 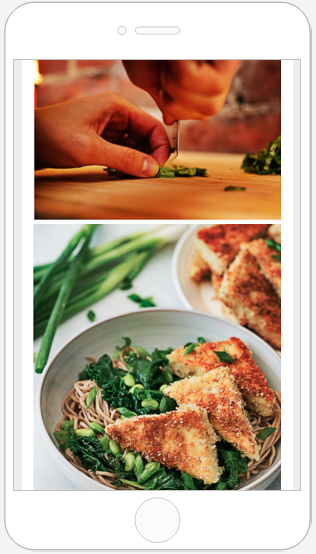 The photo collage serves as a delicious preview for the meal plans to come. 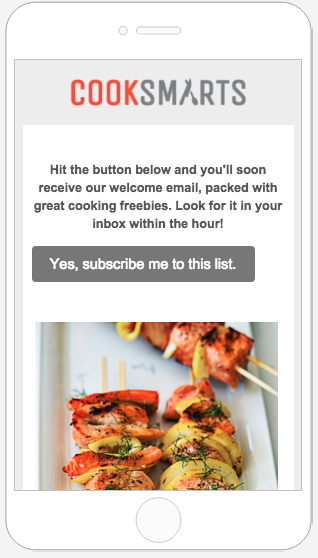 What a great way to get readers to tap “Yes, subscribe me to this list”! 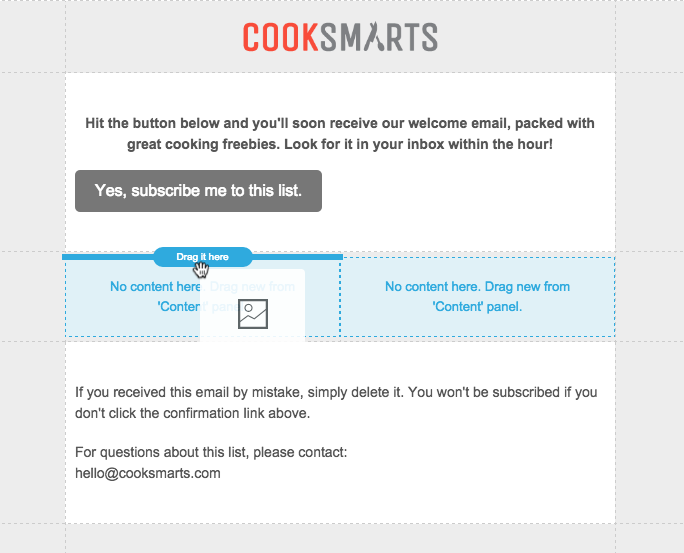 But when we checked out the email on iPhone, we noticed it wasn’t responsive. 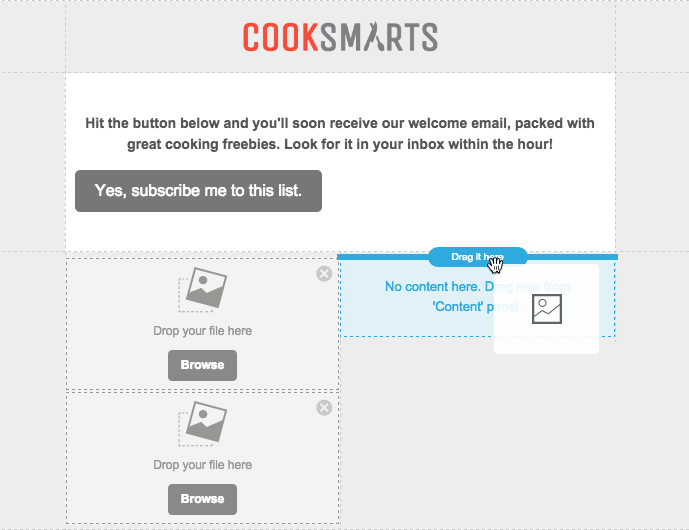 We recreated the basic structure of the Cook Smart email in the BEE editor to get started. 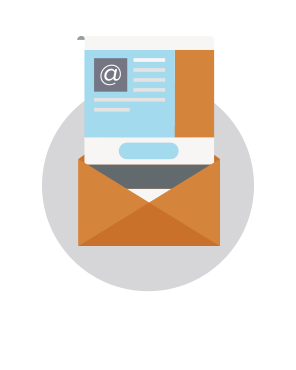 Starting with a basic single-column layout, we brought in the logo as an image for the header, formatted the email background color to gray and the content background to white, and copy-and-pasted the text into the email. 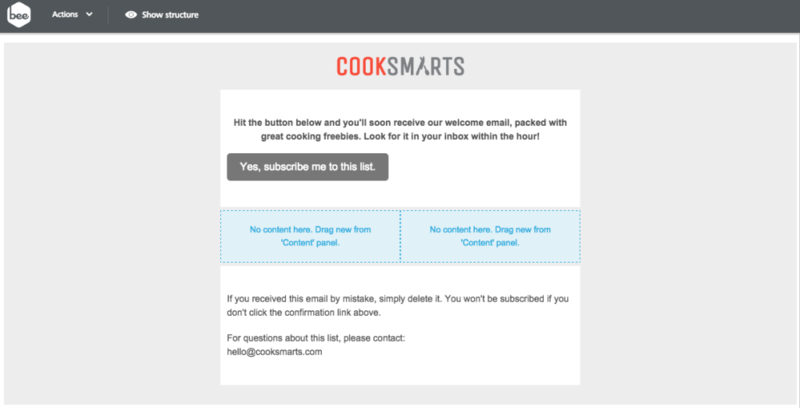 We also formatted our bulletproof CTA button. 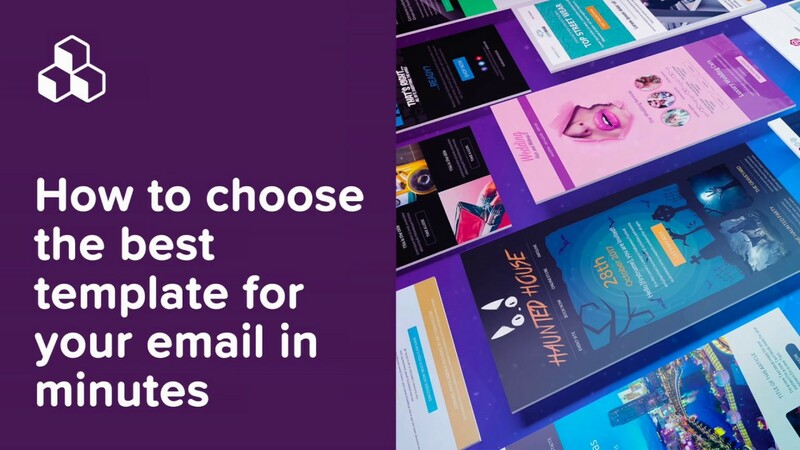 (For tips on how to make these formatting changes, check out our post on modular design and HTML colors in email). What we need to do next is set up the structure of the photo collage. 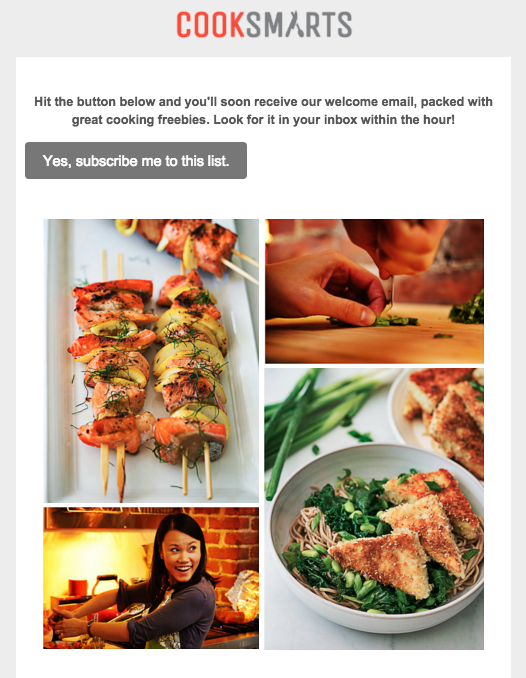 While so far our email is a single-column layout, we’ll need to add a two-column structure to arrange our photos. From the Structure menu, we’ll drag one in. Now we have a placeholder for our content. 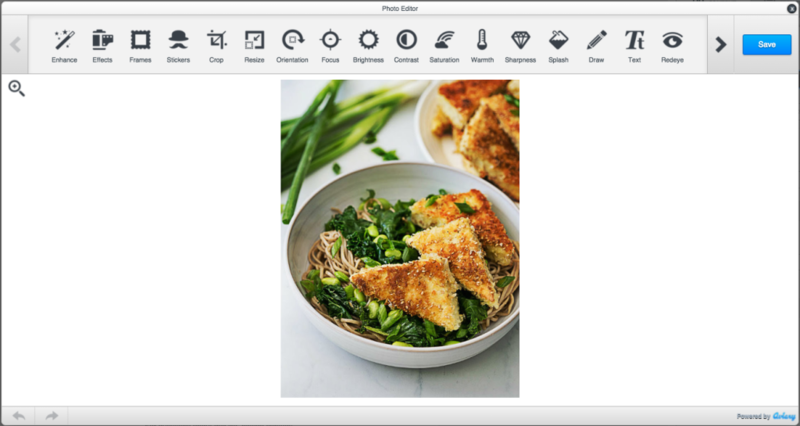 From the Content menu, we can drag and drop in four image placeholders, two in each column. 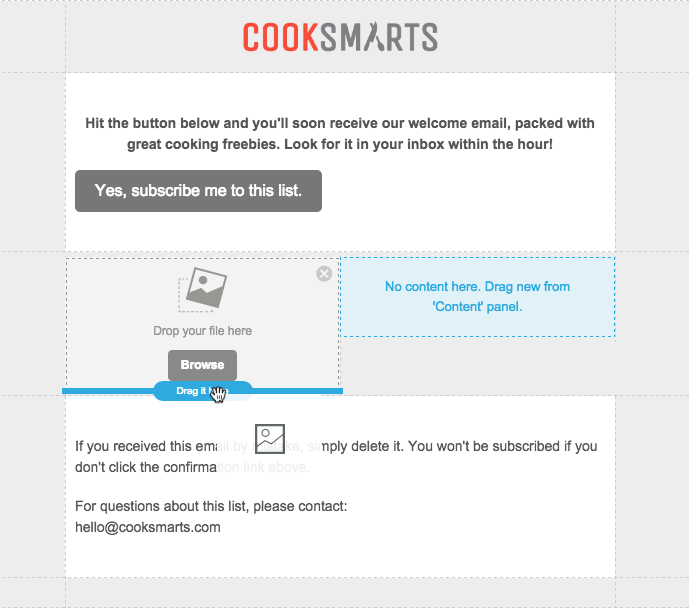 We took Cook Smarts’ single image collage and saved each portion individually so we have four separate images to work with. Now we’ll drag them in one at a time into our placeholders. 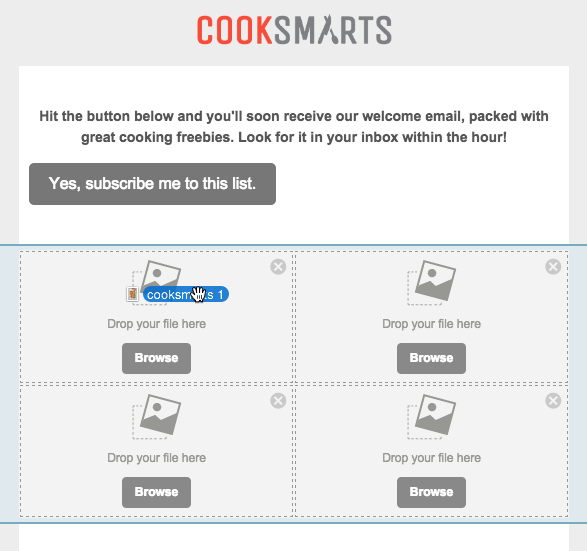 The content placeholders automatically adjust in size to fit the height of each image, making it super easy to maintain the look and feel of the Cook Smart collage. We can continue to add the images on at a time, dropping each one into place, until all four are in place. 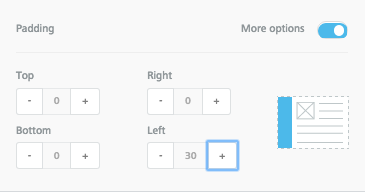 Turn on the “More options” slider under Padding. In Column 1, we’ll want to adjust the padding on the left only. 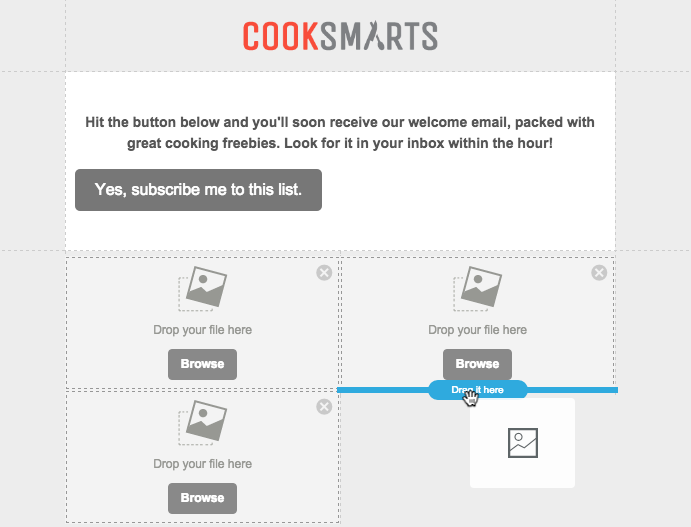 By increasing the padding to 30px, we create a nice strip of white space on the left of our collage, similar to the original Cook Smart one. In Column 2, we will bump up the Right padding to 30px as well. Now there’s white space on either side of our collage. Aviary will load, and you can edit away! 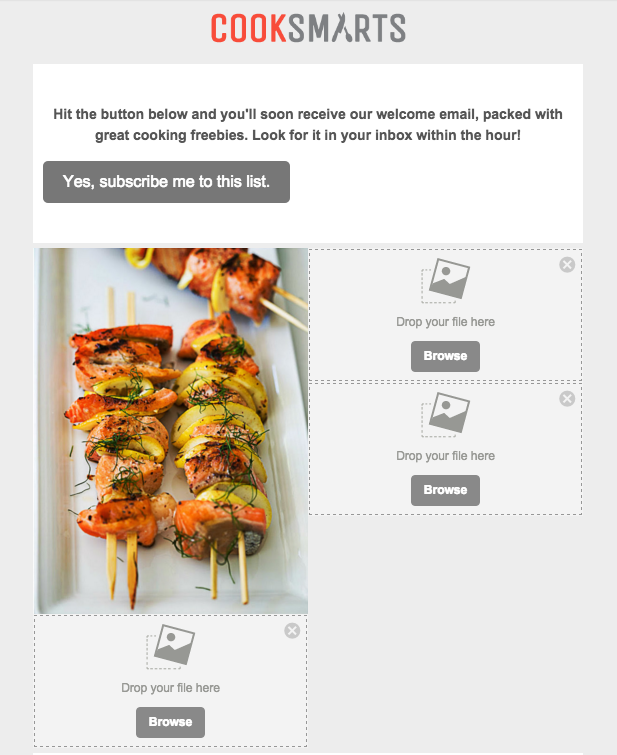 To get a glimpse of how our new responsive photo collage will look on mobile devices, we can preview it in BEE. Select “Preview” from the Actions menu in the upper left corner. 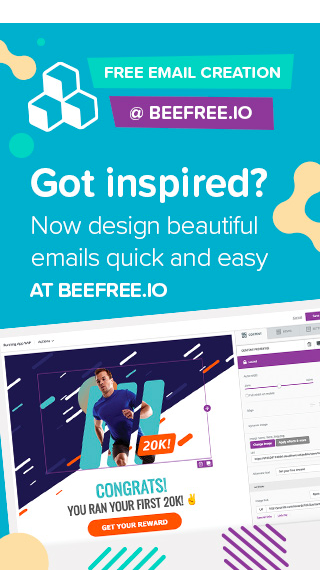 I love how we can see these beautiful images at full-resolution and take advantage of the full width of the smaller screen. The text is much easier to read, too. 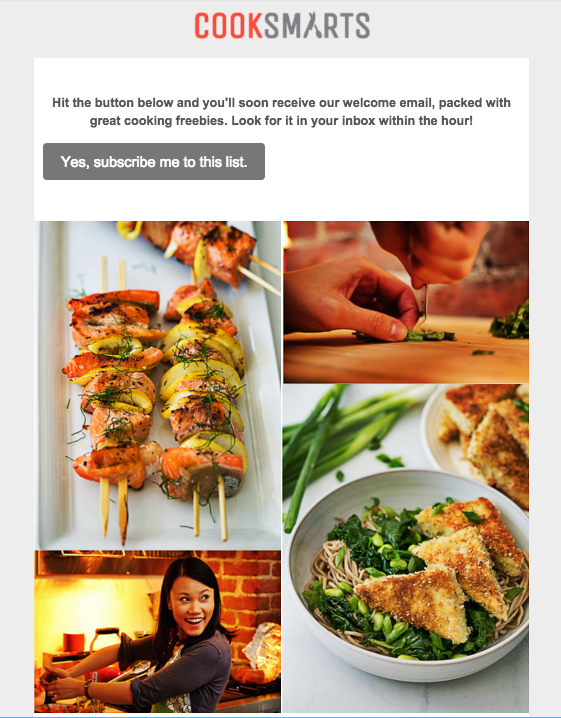 The email looks great, is fully responsive, and was easy to build! Give the BEE editor a try and tell us about your creative collages in the comments.